The Photo of the day as seen below is Dilma Rousseff who is a Brazilian, The President of Brazil and also the world 2nd most powerful woman according to forbes. 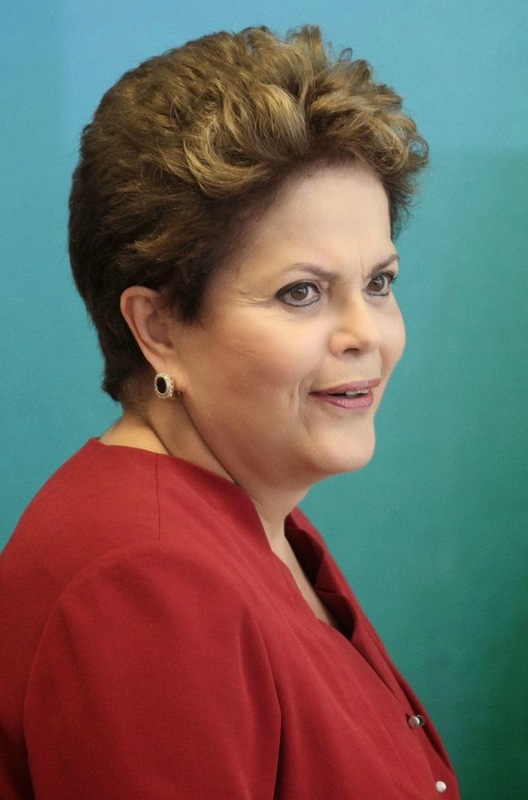 The President of Brazil Dilma Rousseff has been seen as the woman in charge of Brazilian economy which remains the Seventh Largest economy in the world. One of the world's most powerful women, Dilma Rousseff is more than halfway through her term as president of Brazil, the world's seventh-largest national economy with a GDP of nearly $2.4 trillion. The country is hosting the World Cup in 2014 and the Olympic Games in 2016.